About VConnections – VConnections, Inc. Being mobile, visible, and available for veterans and their families. Partnering with local, state, and Federal resources. Advocating the concerns and needs of southern Maryland veterans and their families. Our goal is to provide high quality assistance to aid in the stabilization of under-served veterans and their dependents living in rural communities regardless of race, national origin, gender, religion, age, disability, or political beliefs. For years Bill Buffington, a U.S. Navy veteran and a strong advocate for veteran entitlements, has been recognized as a source of information and connections for veterans in southern Maryland. 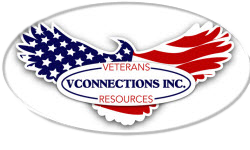 Whether they served during Word War II, the Vietnam era, Operation Desert Storm, the Gulf war, or recently separated from the military, on any given day you can find Bill seeking out and helping veterans by providing guidance or connections about available resources and potential benefits. Bill’s interactions with hundreds of veterans who were unaware of potential resources and entitlements available to them led him to move forward with establishing VConnections as a resource for serving veterans and their families, particularly in the rural communities of southern Maryland.